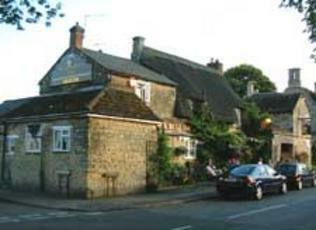 The Black Bull appears to be the only pub in this village. It has a couple of rooms and was reasonably busy on my Sunday afternoon visit. Most were in for the food. But, there were some in just for the beer. Fuller's London Pride, Black Sheep Best Bitter & Sharp's Doom Bar was the fairly mainstream choice. It was unsurprising to see the one family instead ordering shots to round off their Sunday lunch. Visited this pub on 18th August 2010..i would like to say that the balance of this pub is just right. The couple are very pleasant and the food was excellant. I travel the country accessing run down and closed pubs...It is pleasing to see so much passion that are articulated by he current owners. Give this pub all the support you can, it deserves to succeed. Stayed at this pub for a couple of days, fantastic food, welcome and staff, couldn't do enough for us! Has new management for the last two years and they really made an impression, very friendly. Lucky enough to be there when they had a live jazz band on, who were very entertaining, lots of us up dancing, a good time had by all. Would recommend this pub to anyone, a home from home, nothing too much trouble! A lovely village pub, everything you would expect once you go away from the tourist areas. Staff were very friendly and welcoming. Enough choice on the menu. Had a short wait but not too long as all dishes were prepared from fresh ingredients. Presentation was well thought through and taste was everything. Have to admit it was the best meal of all our holiday, so much so we stayed for dessert. Finding it hard to fault.